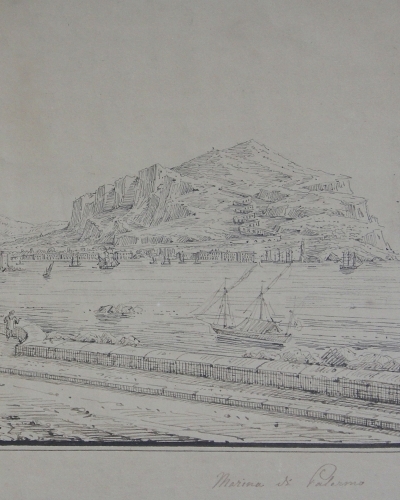 Copper engraving from: Diderot & d'Alembert 'Encyclopédie, ou Dictionnaire raisonné des sciences, des arts et des métiers'. Denis Diderot was a prominent philosopher during the Enlightenment. 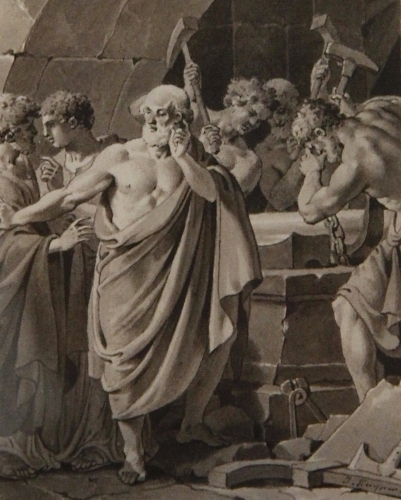 His most famous work was the groundbreaking Encyclopedia (Encyclopedie), a multi-volume collection of world knowledge richly illustrated with engravings, published between 1751 and 1772. 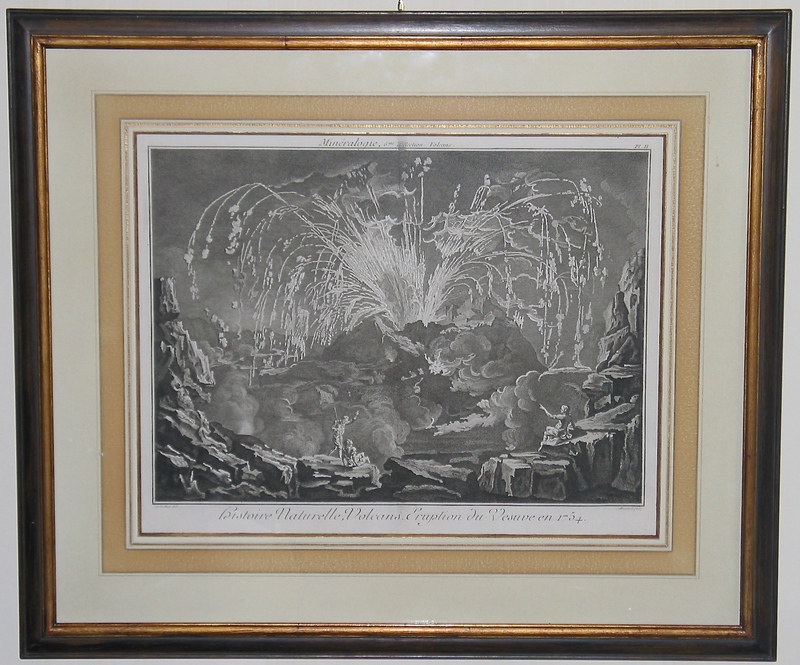 This engraving comes from the section: Histoire naturelle – Règne minéral –  Sixième collection (Natural History – Mineral Kingdom –  Sixth Collection) which was first published in 1768. Text on plate : Minéralogie, 6me collection, Volcans, Pt II, histoire Naturelle, Volcans. 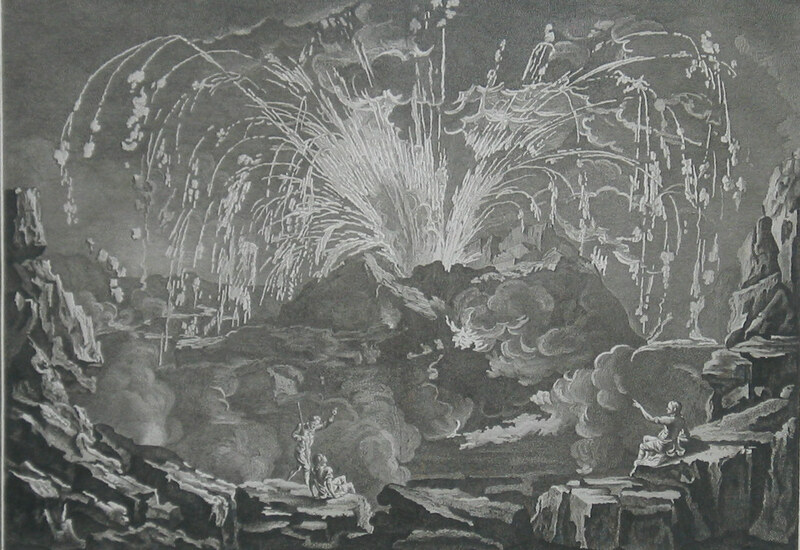 Eruption du Vesuve en 1754. (Plate II: Natural History, Volcanoes. 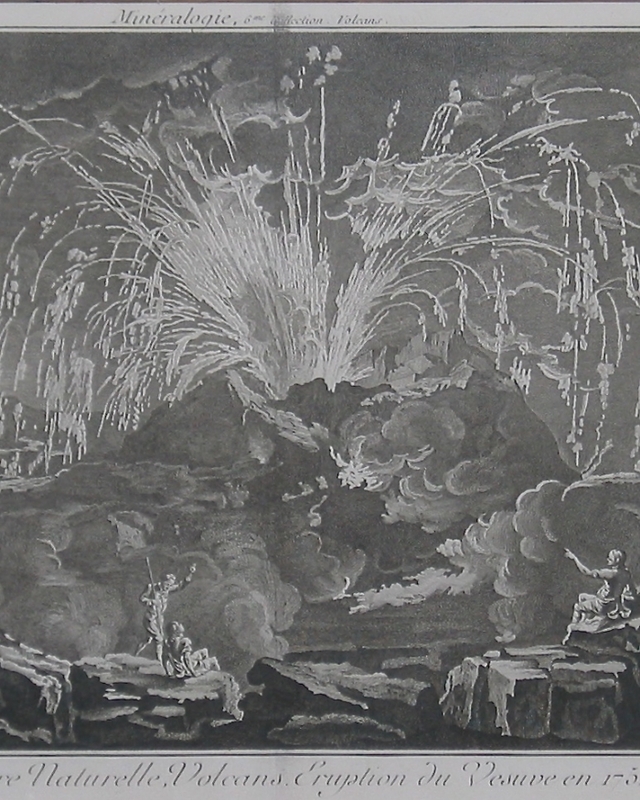 Eruption of Mount Vesuvius in 1754.). 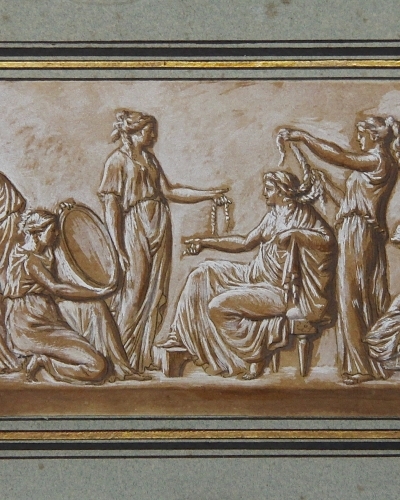 This plate was engraved by Robert Bénard, a French printmaker born in 1734. It was made after a drawing by Philibert-Benoît De La Rue, who was one of the most inventive of Diderot’s collaborators. 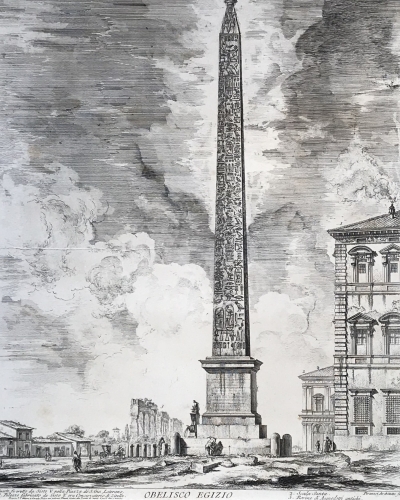 The eruption of the Vesuvius in December 1754 coincided with the period in which excavations at Pompeii started, which caused a great interest among travellers on the Grand Tour for the volcano and the cities that were buried under the ashes. The engraving comes in a beautiful mat and wooden frame.